The first Cray-1™ system was installed at Los Alamos National Laboratory in 1976 for $8.8 million. At this time it's 10 times faster than the biggest IBM, with six times more memory. It boasted a world-record speed of 160 million floating-point operations per second (160 megaflops) and an 8 megabyte (1 million word) main memory. The Cray-1's architecture reflected its designer's penchant for bridging technical hurdles with revolutionary ideas. In order to increase the speed of this system, the Cray-1 had a unique "C" shape which enabled integrated circuits to be closer together. No wire in the system was more than four feet long. To handle the intense heat generated by the computer, Cray developed an innovative refrigeration system using Freon. In the years 1968 to 1972 Cray was working at Control Data on a new machine known as the CDC 8600, the logical successor to his earlier CDC 6600 and CDC 7600 designs. 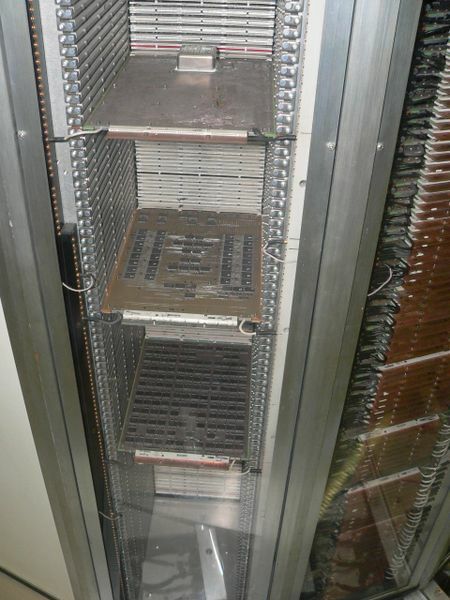 The 8600 was essentially made up of four 7600s in a box, with an additional special mode that allowed them to operate lock-step in a SIMD fashion. Jim Thornton, formerly Cray's engineering partner on earlier designs, had started a more radical project known as the CDC STAR-100. Unlike the 8600's brute-force approach to performance, the STAR took an entirely different route. In fact the main processor of the STAR had less performance than the 7600, but added additional hardware and instructions to speed up particularly common supercomputer tasks. In 1972 the 8600 had reached a dead end. The machine was so incredibly complex that it was impossible to get one working properly; even a single faulty component would render the machine non-operational. Cray went to William Norris, Control Data's CEO, saying that a redesign from scratch was needed. At the time the company was in serious financial trouble, and with the STAR in the pipeline as well, Norris simply couldn't invest the money. Starting a new company HQ only yards from the CDC lab, both in the back yard of land he purchased in Chippewa Falls, WI, he and a group of former CDC employees started looking for ideas. At first the concept of building another supercomputer seemed impossible, but after the CTO traveled to Wall Street and found a lineup of investors more than willing to back Cray, all that was needed was a design. The initial model, the Cray-1A, weighed 5.5 tons including the Freon refrigeration system. Configured with 1 million words of main memory, the machine and its power supplies consumed about 115 kW of power; cooling and storage likely more than doubled this figure. A Data General SuperNova S/200 minicomputer served as the maintenance control unit, which was used to feed control instructions into the system, to monitor the CPU during use, and optionally as a front-end computer. It was later replaced by the Eclipse. In 1975 the 80 MHz Cray-1 was announced. Excitement was so high that a bidding war for the first machine broke out between Lawrence Livermore National Laboratory and Los Alamos National Laboratory, the latter eventually winning and receiving serial number 001 in 1976 for a six-month trial. The National Center for Atmospheric Research (NCAR) was Cray Research's first official customer in 1977, paying US$8.86 million ($7.9 million plus $1 million for the disks) for serial number 3. The NCAR machine was decommissioned in 1989. The company expected to sell perhaps a dozen of the machines, and set the selling price accordingly, but over eighty Cray-1s of all types were sold, priced from $5M to $8M. The machine made Cray a celebrity and the company a success, lasting until the supercomputer crash in the early 1990s. 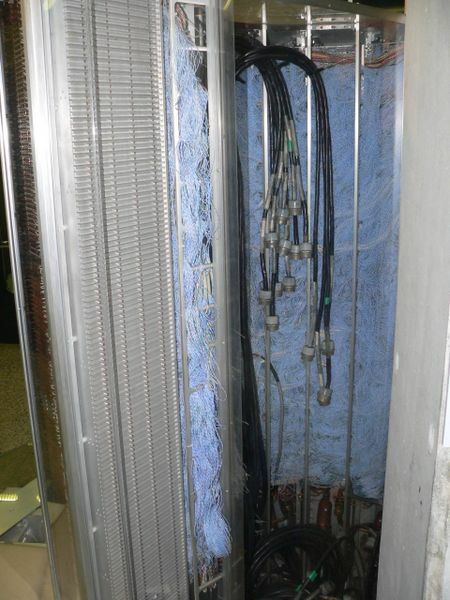 The Cray-1 had twelve pipelined functional units. The 24-bit address arithmetic was performed in an add unit and a multiply unit. The scalar portion of the system consisted of an add unit, a logical unit, a population count and leading zero count unit, and a shift unit. The vector portion consisted of add, logical, and shift units. The floating point functional units were shared between the scalar and vector portions, and these consisted of add, multiply, and reciprocal approximation units. The system had limited parallelism—it could fetch one instruction per clock cycle, operate on multiple instructions in parallel, and retire up to two every cycle. Its theoretical performance was thus 160 MIPS (80 MHz x 2 instructions), although there were a few limitations that made floating point performance generally about 136 MFLOPS. However, by using vector instructions carefully and building useful chains, the system could peak at 250 MFLOPS. Since the machine was designed to operate on large data sets, the design also dedicated considerable circuitry to I/O. Earlier Cray designs at CDC had included separate computers dedicated to this task, but this was no longer needed. Instead the Cray-1 included four 6-channel controllers, each of which was given access to main memory once every four cycles. The channels were 16 bits wide, and included 3 control bits and 4 for error correction, so the maximum transfer speed was 1 word per 100 ns, or 500 thousand words per second for the entire machine. The Cray-1 was succeeded in 1982 by the 800 MFLOPS Cray X-MP, the first Cray multi-processing computer. In 1985 the very advanced Cray-2, capable of 1.9 GFLOPS peak performance, succeeded the two first models but met a somewhat limited commercial success because of certain problems at producing sustained performance in real-world applications. 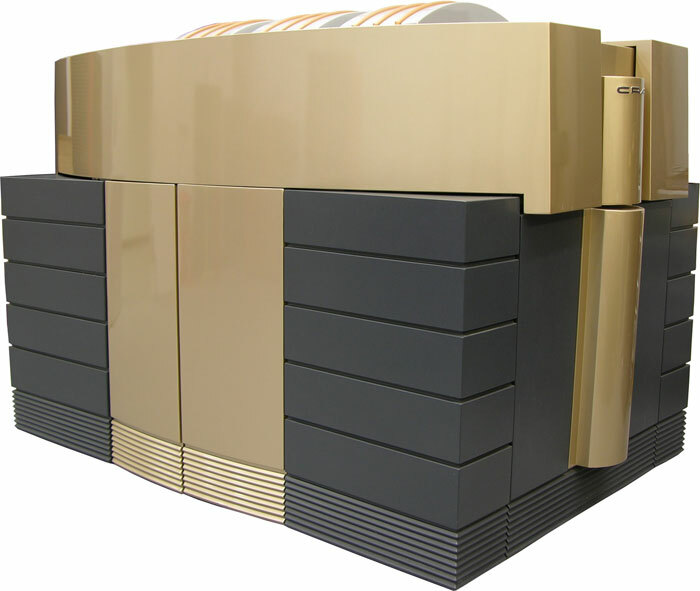 A more conservatively designed evolutionary successor of the Cray-1 and X-MP models was therefore made, by the name Cray Y-MP, and launched in 1988. The Cray-1M, announced in 1982, replaced the Cray-1S. It had a smaller 12 ns cycle time and used less expensive MOS RAM in the I/O system. The 1M was supplied in only three versions, the M/1200 with 1 million words in 8 banks, or the M/2200 and M/4200 with 2 or 4 million words in 16 banks. All of these machines included two, three or four I/O processors, and the system added an optional second High Speed Data Channel. Users could also add a Solid-state Storage Device, with 8 to 32 million words of MOS RAM. In order to concentrate his efforts on design, Cray left the CEO position in 1980 and became an independent contractor. As he worked on the follow-on to the Cray-1, another group within the company developed the first multiprocessor supercomputer, the Cray X-MP™, which was introduced in 1982. The Cray-2™ system appeared in 1985, providing a tenfold increase in performance over the Cray-1. In 1988, Cray Research introduced the Cray Y-MP®, the world's first supercomputer to sustain over 1 gigaflop on many applications. Multiple 333 MFLOPS processors powered the system to a record sustained speed of 2.3 gigaflops. Always a visionary, Seymour Cray had been exploring the use of gallium arsenide in creating a semiconductor faster than silicon. However, the costs and complexities of this material made it difficult for the company to support both the Cray-3™ and the Cray C90™ development efforts. In 1989, Cray Research spun off the Cray-3 project into a separate company, Cray Computer Corporation, headed by Seymour Cray and based in Colorado Springs, Colorado. Tragically, Seymour Cray died of injuries suffered in an auto accident in September 1996 at the age of 71. The 1990s brought a number of transforming events to Cray Research. The company continued its leadership in providing the most powerful supercomputers for production applications. The Cray C90™ featured a new central processor with industry-leading sustained performance of 1 gigaflop. Using 16 of these powerful processors and 256 million words of central memory, the system boasted unrivaled total performance. The company also produced its first "mini-supercomputer," the Cray XMS™ system, followed by the Cray Y-MP EL™ series and the subsequent Cray J90™. In 1993, Cray Research offered its first massively parallel processing (MPP) system, the Cray T3D™ supercomputer, and quickly captured MPP market leadership from early MPP companies such as Thinking Machines and MasPar. The Cray T3D system proved to be exceptionally robust, reliable, sharable and easy-to-administer, compared with competing MPP systems. Debuting in 1995, the successor Cray T3E™ supercomputer was the world's best-selling MPP system. And the Cray T3E-1200E™ system was the first supercomputer to sustain one teraflop (one trillion floating-point operations per second) on a real-world application. In November 1998, a joint scientific team from Oak Ridge National Laboratory, the National Energy Research Scientific Computing Center (NERSC), Pittsburgh Supercomputing Center and the University of Bristol (UK) ran a magnetism application at a sustained speed of 1.02 teraflops. In another technological landmark, the Cray T90™ (Pictures) became the world's first wireless supercomputer when it was unveiled in 1994. Also introduced that year, the Cray J90 series has since become the world's most popular supercomputer, with over 400 systems sold. Cray Research merged with Silicon Graphics, Inc. (SGI) in February 1996. In August 1999, SGI created a separate Cray Research business unit to focus exclusively on the unique requirements of high-end supercomputing customers. Assets of this business unit were sold to Tera Computer Company in March 2000. Tera Computer Company was founded in 1987 in Washington, DC, and moved to Seattle, Washington, in 1988. Tera began software development for the Multithreaded Architecture (MTA) systems that year and hardware design commenced in 1991. The Cray MTA-2™ system provides scalable shared memory, in which every processor has equal access to every memory location, greatly simplifying programming because it eliminates concerns about the layout of memory.Tera completed its initial public offering in 1995 (TERA on the NASDAQ stock exchange), and soon after received its first order for the MTA from the San Diego Supercomputer Center. The multiprocessor system was accepted by the center in 1998, and has since been upgraded to eight processors. Upon its acquisition of the Cray Research division of SGI in 2000, the company was renamed Cray Inc. and the ticker symbol was changed to CRAY.